Description: This seven-hour Halloween celebration claims to feature the hottest DJ’s in the Techno scene in a 25,000-square-foot venue located downtown. 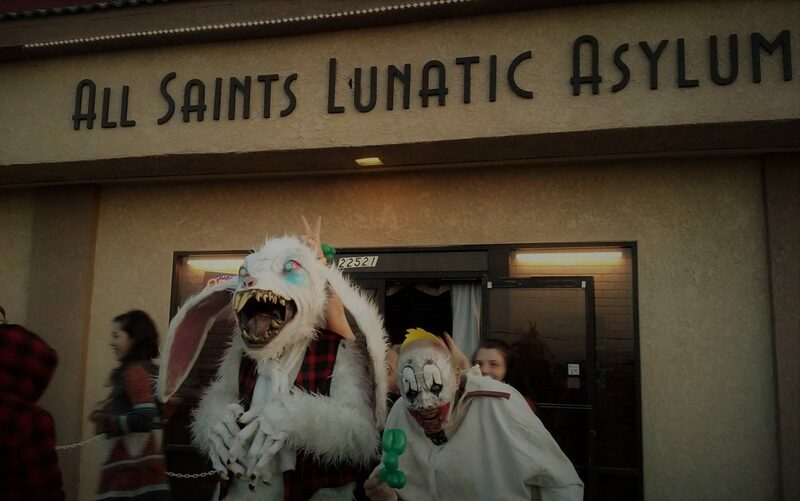 Tickets are $15.00 in advance or before 11:00pm night of the event, then $20 after midnight. Advance tickets are available at www.WantTickets.com. Sounds from the Deep: An Auditory Adventure is a 21-and-over event. 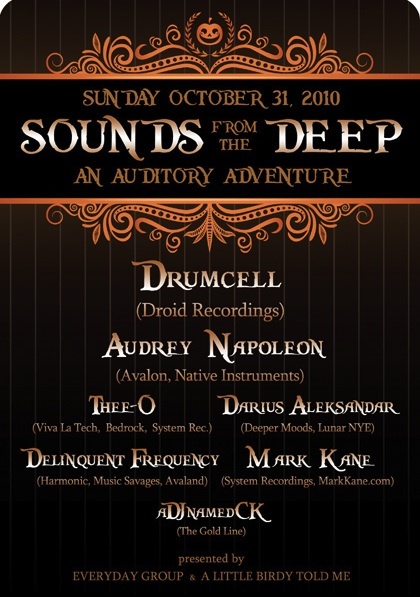 Los Angeles, CA - On October 31st from 8:00pm to 3:00am venture deep into the heart of Downtown Los Angeles for a mesmerizing and sensual evening of techno in all its forms performed by seven of the most influential DJ's and musicians of our time titled SOUNDS FROM THE DEEP: AN AUDITORY ADVENTURE. Scheduled to perform are: DRUMCELL, AUDREY NAPOLEON, THEE-O, DARIUS ALEKSANDAR, DELINQUENT FREQUENCY, MARK KANE and aDJnamedCK. This lush night of music takes place at the Exchange LA located at 618 South Spring Street, Los Angeles CA 90014. Constructed in 1930, designed by Architect Samuel E. Lunden and home of the Los Angeles Stock Exchange from 1931-1986 this venue, newly remodeled, boasts a Funktion One sound system and lighting by SL Lighting. For this event, the venue will also be filled with the stunning light installations created by TODD LAZER.